In 1897, a crew of cameramen descended on Montana under orders from their boss, Thomas Edison, to produce some short films demonstrating his new invention, the Kinetiscope. Some 50 feet of film resulted, no more than a snippet really, entitled “Tourist Train Leaving Livingston, Mont.” The movie depicted well-wishers and locals waving goodbye to a passenger train setting out for Yellowstone National Park. You couldn’t call it an epic, and yet it was the cinema’s first glimpse of the Treasure State. It would certainly not be the last. In the more than 120 years since, Montana’s romance with the movies has deepened considerably. The invention of the Western, and its cousin the outdoor survival film, has made Montana a popular destination for filmmakers who demand frontier authenticity in their shooting locations. But not every movie shot wholly or in part in Montana are Westerns. Montana stood in for Heaven, after all, in the Robin Williams vehicle What Dreams May Come, and a Hutterite colony in the Big Sky State made for an amusing backdrop for the screwball comedy Holy Matrimony, directed by Mr. Spock himself, Leonard Nimoy. 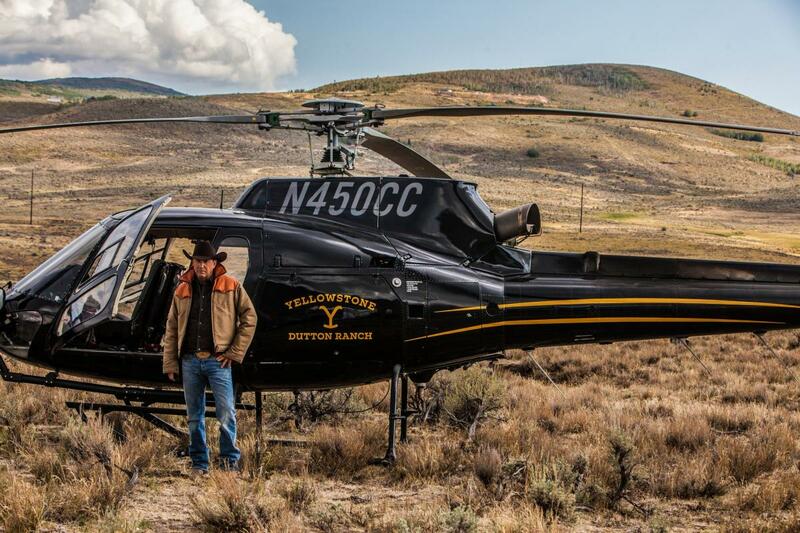 And even as you read this, a crew is shooting Yellowstone, a television series starring Kevin Costner about modern-day ranchers resisting the encroachment of outsiders, at Chief Joseph Ranch outside of Darby, MT. It is easy to imagine locations scouts going gaga at Montana’s natural wonders. But filming in Montana isn’t just about scenery, it’s also good business sense. Just ask the Montana Film Commission. The MFC is an arm of the Montana Department of Commerce, and since their formation in 1974 the Commission has worked to put Montana’s name up in lights. Their goal is manifold: to get productions to come to Montana, to help those productions select the right locations, and to foster the careers of Montana filmmakers and crew members. And as it turns out, one of the most important reasons to shoot in Montana is something that natives enjoy every day—the lack of a sales tax. Emilie Saunders, Communications Director for the Montana Film Commission, estimates that many productions can save 7 to 10 % of their budget right off. And while there are lodging taxes, they can be refunded by the state if the shoot lasts longer than 30 days. There are also generous grants available through the government provided the production meets certain criteria, such as 50 or more percent of the film having been shot in Montana, or if the filmmakers are Montana residents. It is clear how filming in Montana benefits the filmmakers, but what is perhaps less immediately obvious are the ways that film and television production benefit Montanans. For one, productions that come from out of state tend to bring out of state money with them. Every crew member on the set is a mouth that could, and probably will, eat a few Montana steaks during their visit. And while they’re at it, they just might sample a local brewery or distillery’s wares, get a new t-shirt, or buy a new pair of cowboy boots. In essence, a film shoot can be like a concentrated form of tourism. But Montanans get even more out of the deal. Extras and crew members from Montana are hired, often right out of the film programs at Montana State University and the University of Montana. And in many cases, the cast of the film or program is rounded out by actors whose previous work has been in local theater or television. Or those jobs may go to folks who never really considered a role in movies before, like 16-year-old J. D. Hoppe, star of Timber the Treasure Dog, who was born and raised in Montana and discovered a passion for acting and directing after being cast in the film. “It was cool,” J. D. says with a smile. “It was something I’d never done before.” But after having been forced to audition by his sister, he says he “learned how much time and how much work is put into it. One two-minute scene took 12 hours to shoot,” he says. But he’s not complaining when he says it. In fact, he sounds pretty excited. Because he says that in the course of starring in the film he has found that this might be what he wants to do with the rest of his life. And not just acting, he says, but directing, too. When I ask him if he’s excited to film in Montana again, his eyes light up and he says, simply, “Yes!” And he will, too; his second starring role is in another Montana family film called Sk8t Dog, and in the mean-time he works after school at the local video store. What started as simply being a movie fan has blossomed, because of his experience, into a full-blown passion. Which brings us, finally, to the best reason to shoot here. Because, putting aside all of the financial incentives, the hard-working local folks, and the miraculous fact of our long “Magic Hour”, and you’ve still got Montana’s enormous variety of almost untouched natural locations, from rugged mountain ranges to placid prairie, wide rivers wending slowly to the horizon. She says, “We hear from filmmakers that the variety of locations in the state makes the decision for them,” and it’s the “stark contrasts” between locales that makes Montana a one-stop shop for the cinematic sublime. So next time you watch Tourist Train Leaving the Station in Livingston, Mont., or A River Runs Through It, or The Revenant, or The Shining, Thunderbolt & Lightfoot, or last year’s remarkable indie western Ballad of Lefty Brown, take a moment and think about how these films would not be what they are without our beautiful vistas, without the local economies that support the productions, without the University students thankful for their first paying gigs, and definitely not without the continued efforts of the Montana Film Commission to make sure that our beautiful state stays represented on the screen. Now that the future has arrived, the Montana Film Commission is branching out into film-adjacent media, like video games. 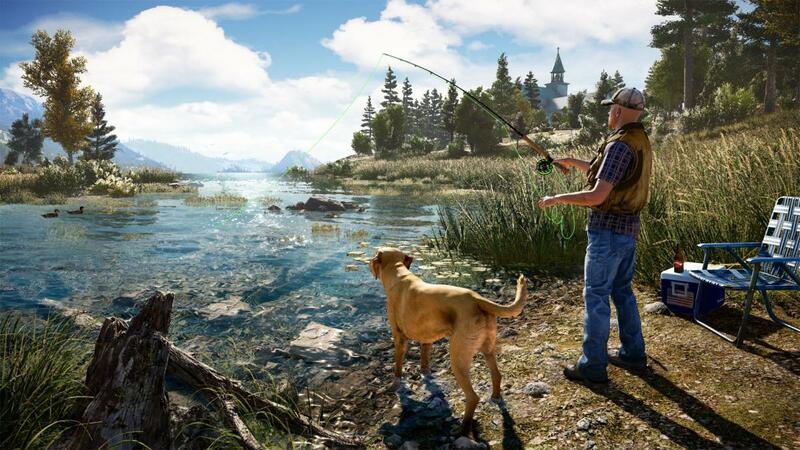 For instance, the hit game “Far Cry 5,” out now for Xbox One, Playstation 4 and for Windows, takes place in fictional Hope County, Montana, but for research the team at Ubisoft sent real people to Montana, where they interfaced with the MFC to find just the right church steeple as a model for a location in the game. The lucky church they went with, now a star, is in Poplar. The crew also filmed in Anaconda and other places in Southeast Montana. It just might be the start of an auspicious career in virtual reality for our fair state. I asked MFC Communications Director Emilie Saunders if there are any projects in the pipeline about which she is particularly excited. She was especially eager to mention is the RFDTV show Special Cowboy Moments, which is being filmed in Miles City and concerns filling in, as Saunders says, the “gap in modern western history” with “incredible stories... that are on the verge of being lost forever.” It’s first episode aired May 2 on RFDTV. The next project she mentioned was the film Wildlife, starring Jake Gyllenhaal and Carey Mulligan and directed by Paul Dano. Adapted from a novel by Richard Ford, Wildlife tells the story of a Great Falls lawyer in the 1960s and his complex family life. 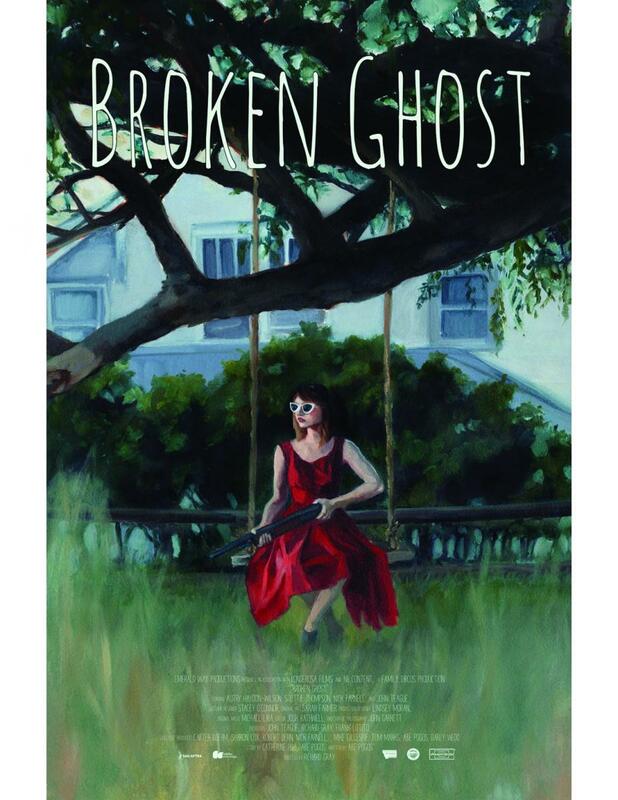 Broken Ghost is a coming-of-age ghost story set in Paradise Valley, Montana. Teenager Imogen Day and her parents Samantha and Will move to Montana to escape the past. Desperate to make a new life for herself, Imogen must overcome new tormentors, old secrets, and a strange presence in the house. Final edits are underway, and worldwide distribution begins later this year. Robert The Bruce was filmed outside Livingston, and in Scotland last winter, and is currently in post production. Robert The Bruce is the epic story of the widow and her orphan children who saved this King of Scotland, and is joined in history with William Wallace, Braveheart. 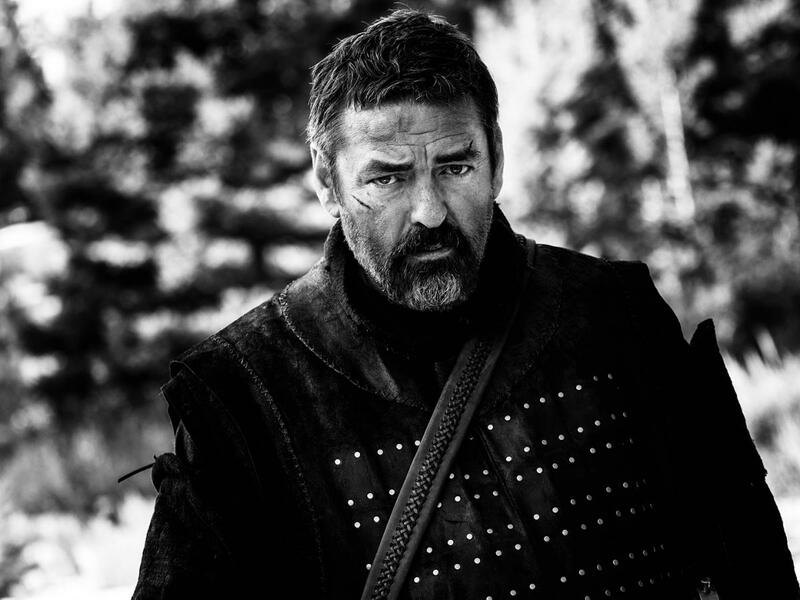 Angus Macfadyen reprises his role as Robert the Bruce from the film, Braveheart. Major sets including a Farm, Church, Tavern, and Village were constructed outside of Livingston for the production, and will be utilized for years to come. Both films were directed by Richard Gray who has spent most of the last two years in Montana, a place where he adores filming. He was introduced to the locations and local business and crew by Livingston resident Carter Boehm, who is executive producer of both films, and has worked diligently to reinvigorate Montana’s film industry. A 19th century, classic western town is now under construction in Livingston by Boehm and Gray for a third film. Boehm and Gray hope it will be utilized by future film-makers.